I do wonder at this, since one of the reasons for pre-releasing information (often under ’embargo’) is to allow magazines and the like, which have lengthy production cycles to give the appearance of having ‘news’ stories, thus maximising press coverage for manufacturers. It seems the ‘Phot Show East’ mentioned in the quote on the 27th is the PhotoPlus Expo 2007, slated to be held at the Jacob Javits Convention Center in Manhattan on October 18–20, 2007 (info from this page). If you read further on in the thread there is the mention that built-in wireless is a feature of the new camera. I’m assuming that’s some US trade show being referred to? You can also enter it into your shopping basket and proceed to the checkout… Don’t all rush at once! 23rd In a neat move, the Hong Kong Canon 40D page from yesterday now points to 400D information. If there really isn’t going to be a 40D any time soon, the ‘mistake’ will even further hit 30D sales, since a lot of people who might be thinking of a 30D might now wonder about its possible replacement – particularly since I’d think that prospective 30D purchasers are more likely to look up this sort of info on the net, than the 400D market. 22nd I was sent an interesting Canon MF picture from Italy (thanks Alessandro). It seems that this is from the mid 80’s when Canon had several MF prototypes, before the whole EOS system. This morning I was sent some info that a mention of a 40D (product id 10320) had appeared on the Canon Hong Kong site – I’ve not been able to confirm this, but it might be worth checking Canon sites worldwide for stuff ‘accidentally’ left on servers during updating. For people still wondering about the ‘MF’ size sensors mentioned yesterday, that’s a 70mm image circle – a bit excessive for -any- existing EF mount lens, ‘L’ or not. However there is still that ‘extra’ specialist camera noted here on the 6th. I see that the whole ‘big sensors’ thread is still going strong in the Digital Medium Format section of the LL forums. Simon Naisbitt also pointed me to his page collecting together a lot of Canon camera info showing trends in timing and capabilities and some of his thoughts on updates. I’ve been sent some interesting information about what we can actually expect from Canon at PMA. There won’t be a 5D replacement until the Autumn. All “Mark2” cameras are up for change, so there wont actually be a 1DMk3 or a 1DsMk3 (well not with those names anyway). There will be two new top end cameras, the ‘lesser’ one will come in as full frame and with the 12+ MP of the current 5D (end of APS-H?) while the ‘best’ will have more MP than the current 1DsMk2 – both will get enough extra features to stand out from the crowd. No news about the 30D replacement, but this was from ‘pro’ sources. I had some queries about the 1D and 1Dmk2 ‘initial’ official prices as well (the values I noted came from a quote in Rangefinder Magazine in, March ’04) If anyone has the correct introductory prices for the various cameras, it might be worth knowing? This years ‘Super Bowl’ (a popular US sporting event for those of you in the rest of the world ;-) is on February the 4th. Time for the 1Dmk3, so as not to distract from other announcements at the March PMA? 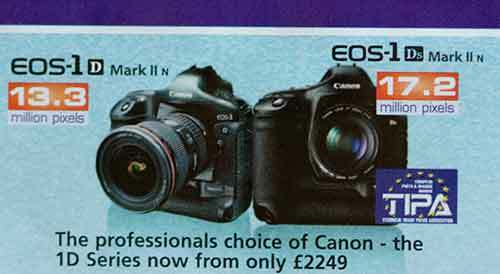 12th Have a good look at the (extremely) fine print if you want a 1Dmk2n or 1Ds mk2 – no actual rebate on either of them (thanks Jim). So generally, 3 to 5 days in advance. PMA this year starts March 8. Also, once again, Canon is not appearing at the premiere UK Photography show (Focus) in February – maybe it doesn’t fit in with their product announcement plans? I’ve also had some comments (thanks) via a dealer in Australia who reckons that several press organisations are secretly locally testing ‘unmarked’ Canon cameras. 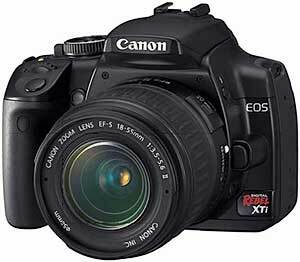 Whether such cameras (for press use) would be ‘Mk3’s of the 1D or 1Ds is another matter. 6th An interesting take on Canon’s new ‘pro’ stuff for this year. I was sent some info suggesting that there will be an additional all new 1 series body in addition to the expected 1DsMkiii. This one would be a rather specialist offering (‘leftfield’ was the term used :-) and the key word was ‘movements’. As someone who uses the Canon TS-E 24 and TS-E 90 lenses quite a bit, this one piqued my interest. If implemented well, a camera with a movable EF lens mount would make it on to many people’s ‘want one’ list :-) –Incidentally if you have never used tilt and shift lens before, it is well worth trying to borrow one to experiment with. 5th I’ve just been told (thanks) that Canon Germany has removed all (non Image Stabilised) lenses longer than 200mm from it’s ‘Fixed focal length lenses‘ section. In the UK and Italian sites there are still 300 f/4L, 400 and 1200 f/5.6L — make of this whatever you will :-) PS How many people have actually used a 1200/5.6! 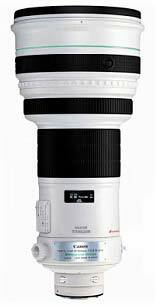 We were told that Canon in Italy have removed the ef 100-400 L USM from their site. Compare the range of lenses listed for the UK site and the Italian one. This lens is one of those in the suggested new lenses list from Dec 29th. In the UK I’ve heard grumblings from several ‘pro’ dealers that they are not getting any clues as to what Canon is up to. What’s more even people at Canon UK are getting very little out of Canon Japan – or at least those that are in the loop are keeping -very- quiet about it. One other bit of dealer related news that is causing some grumblings, is that you can’t be a Canon official reseller (in the UK) unless you sell £80,000 of kit a year, up from the previous £50,000. Add to that some of the complaints that I’ve heard from the traditional ‘pro’ retailers that Canon is favouring the ‘internet box shifters’ and not valuing the work done by some of the smaller specialised retailers. Over at Bobatkins.com there has been a bit of crystal ball gazing about Canon’s 2007 announcements and what’s most likely for the big PMA show in March. 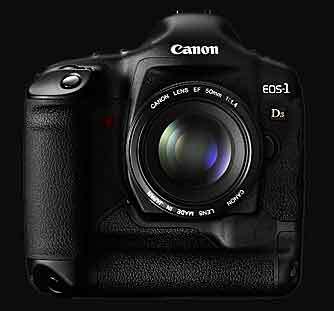 Updated EOS 1Ds Mk II — will be 29 mths old by PMA ! – System of dust reduction (I understand that he will be similar to the one of 400D although improved)With respect to the dimensions and weight, the camera will measure 14 centimeters of stop, will have the same width and will be something lighter. There will be no changes in the flash system. It comes to be long, it hides. Canon EOS 1D Mark III: 12Mp, x1.2 and DIGIC III, 8,5fps and raw until 25 every, dust removals, length grip crisis possibility (grip détachable en kit French expressions [leh] [sup] are the [ni],), SD+CF and Wifi. (2007 January) – 3000Eur AF improvements, photometry improvements and iso3200 picture qualities the improvements and jpg picture quality improvements become accomplished plentifully: The d it appears to be being an efficiency improvement which [cik] 3 is common. 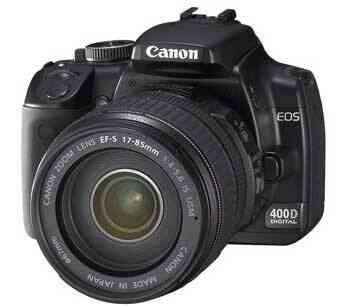 – In consequence of the fact that Canon EOS 40D 10Mp, x1.6 and DIGIC III and 5fps, dust removal, ISO de 100 a 3200, AF side strongs-point extend or the improvement of AF efficiencies is forecast (PMA 2007 April) – the lenses – Canon ef 200mm F/2.8 L USM IS -1000Eur – Canon ef 400mm F/4 L USM IS black which are 1200Eur PMA 2007 April TBAs, in consequence of the fact that -1400 Eur – Canon ef 10-24 F/2.8 L USM – 1200Eur – Canon ef 24-70 F/2.8 L USM IS – 1000Eur – Canon ef 100-400 F/4 L USM IS (3) black that the water service which will become it is, the box -1200Eur price is a forecast price or a drawing up voluntary hopeful price one possibility.Again once emphasizing The [lwu] it is a [me]. The [lwu] petty there is an equator where the [me] is right and from it tries to raise from information dimension.And confirmation it holds but [lwu] [me] one compared to ids mk2 succeeding models: It says that the some pro are doing test already. 22Mp, digic 3, 3 inches LCD, the rumor will be above dust removing and 3 degummed yarns It remained and as the person who is a tester being announced next year in April in from the public piece. Origin it reinforces the square damp-proof part which is November come into the market plan which will come and information about the price of the 1:1 reed which will come out from the [ni] cone newly flows and compared to or waits, an unyielding spirit and the bedspread which it does. And One compared to The 1:1 reed B causes to defecate with the supply elder brother and the middle class elder brother and from the fact that it will come out [lap] is the [ni]. As well next year currently with 5d almost it equips similar evening sunlight in April announcement 30d size and as the reed which is cheap 5d than coming out does. With additional function square damp-proof (the place square room which becomes as anti dust [sup] it probably is a dust removal which probably is It will not know well.) The cross sensor comes to be many. The d 16Mp sensors it is sweet in [cik] 3 current 5d sizes and 5 degummed yarn and the square damp-proof (anti-dust) cross it counts and the fact that the reed which D [cik] 3 from to come to be many affixes will come out [lap] is the [ni]. When it becomes like this and 40d middle charge all FF sensors run last and only 400d successions the [khu] [lop] remain with the sensor and as. Different contents the broad way which is confirmed it will amend. 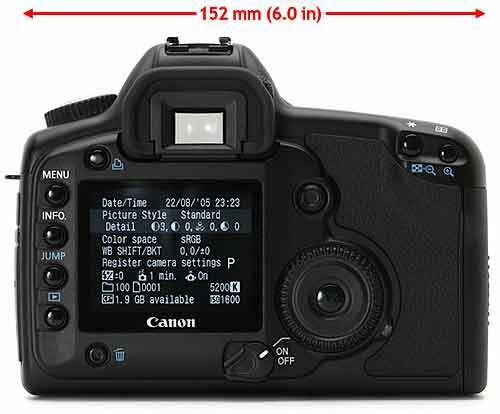 Anyway, since this page is for 1Ds Mk2 replacement info I’ll put any new 5D related stuff on the Canon 5D replacement page. See the 40D page for any new info on that mythical beast. 21st To follow up from yesterday, the page with firmware for all Canon’s cameras (DSLRs and compacts) is at http://web.Canon.jp/Imaging/news-f-e.html inc 5D (1.1.0) from July and 30D (1.0.5) from October. Also an interesting comment and graph on this page about the state of the megapixel ‘race’. 20th Just for information… I was just told about a 1DsMk2 firmware update (1.1.6) available in Japan. I notice that the Canon US site still has V1.1.4 (Oct 2005) listed. “It fixes the phenomenon wherein the camera does not detect the capacity correctly when high-capacity recording media are initialized. 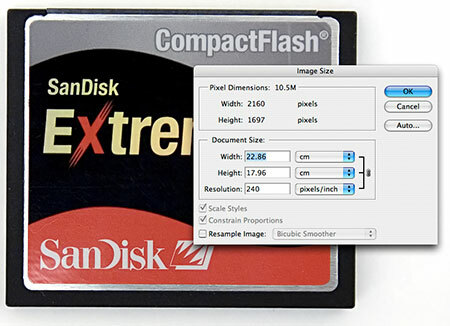 a) SDHC cards with capacities exceeding 2GB (e.g., 4GB, 8GB) are now supported. 17th A report via a pro dealer in Paris suggesting the 1 series camera would be delayed until the 2nd half of 2007. Not something I’ve heard from anywhere else … 3 years to update the 1Ds Mk2? let’s hope not. I can’t seriously expect Canon to go two big Photo shows without some big announcement at the top end. 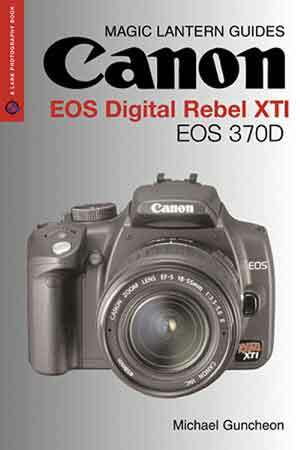 Particularly since 2007 is the 70th anniversary of Canon as a company and the 20th anniversary of the EOS system. 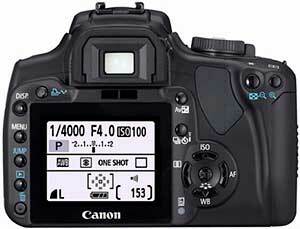 “I never said that the EOS-1D and 1Ds model lines would be merged. As best as I can tell, this line of thinking is based on the alleged comments of another Canon executive (Mr. Takaya Iwasaki) who was interviewed a couple of years ago by a European digital camera Web site. December 1st I was sent a link to this thread on photo.net It seem that the latest issue of the Warehouse Express Catalogue in the UK (winter 2006-2007) had got the latest new cameras? 29th All very quiet, although I hear several dealers getting stocks of ‘refurb’ Mk2s from Canon and lots of good offers if you hunt around. 20th Several reports over the weekend of ever lowering 1Ds Mk2 prices. I’m often asked if people should wait or not, and my usual answer is “It depends on why you want the camera”. If you need a high res full frame camera like the Mk2, and you are going to get paying work through having it, then buy one. If you want to move ‘upwards’ from something smaller and want a camera that will last for years, then maybe wait a few months? 11th The EVF (electronic view finder) is something you sometimes see mentioned (such as in Chuck Westfall’s “Future Thoughts” PDF). 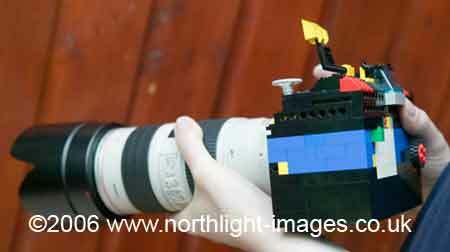 We’ve had comments that the next ‘Top of the range’ DSLR will have a live preview video output. Not yet full EVF, but it’s something I’d find useful for some studio work, although a magnifying angle viewfinder and a grid ruled focussing screen do help at the moment. And … I notice that a new version of the Oct. 15th rumour has been doing the rounds — take with usual pinch of salt! “Come January……..EOS 1 SP (for sport) 17MP 1.25x crop, improved (lighter and longer lasting) battery, better high ISO noise than 1D2 (however still restricted to 3200), slightly less agressive AA filter for sharper images without PP, 45 point focus system but with two additional cross sensors at the extreme ends of the AF elipse, 8.5 fps with 25 raw buffer, Digic 3, 2 user configurable buttons, in-camera WiFi (limited range, WiFi unit still required for long range transmission), dust reduction system. Camera is 14cm high, same width, and slightly lighter. No change to flash system. 6th Fresh rumours of an upcoming (this month) dealer event for a ‘new 1Ds’ – anyone with good dealer contacts like to quash/confirm this one? There are also plenty of references to a split in the 5D lineup, but most seem to originate from this one mention at DCResource from before Photokina. November 4th Several dealers in South Africa were apparently saying that the new camera would be available in March. In the UK there has been some price movement after a fairly stable period. “At the Canon Outlet on e-bay (Digital River) the ‘refurbished’ 1D MkII N’s are going for around £1,850 but they are outnumbered by around 10 to 1 by lots of 5Ds going for around £1,300.” – This info from Brian Townsley – Thanks! 18th It was pointed out to me that the pixel densities in the note on the 15th were not the same (Thanks Lauri) The 1.3 crop version is at 400D densities and the FF version is at 30D density. Perhaps 400D densities can’t deliver the required top end perfomance yet? 14th Just like quiet news days bring out old stories, no decent rumours keep bringing back the 3D wishlists — see all the old stuff on this and the 1DsMk2 page for how it persists :-) The 5D will hit 18 mths old early next year so PMA (March 8-11, 2007 in Las Vegas) looks a sound bet, with an announcement a while before. If the ‘Mk3’ is a big enough jump, then there might be a space in Canon’s range for something 5D like and something a bit better. The deal runs from the 10th Oct to 15th January 2007. There is (as was to be expected ;-) wailing and gnashing of teeth on the various forums about the lack of top end cameras. The word I’ve had from a couple of more reliable* sources has been that the announcement of the ‘Mk3’ was always due later this year or early next year. Ooh, the tension :-) … I’ve just seen the September EOS newsletter and the stuff we already know about is all that’s there. 23rd On the “Nothing to see here, move along” theme, there is a mention of a US press event where it was stated that the new stuff seen so far (in August) is all there is. A CD of info was handed out. For those of you wanting something a bit bigger than full frame, check out the top value (28,900 Euros) Seitz 6×17. ISO 500-10000. A scanning back that can take a full width shot in one second. Given my general dislike of using tripods, I was glad to see the grips for using it hand held :-) Thanks Lazaros, for the link and noting that 11 stop dynamic range. Support for faster write speeds to new generation CF cards allowing larger images at high FPS rates. This includes the potential for (?) continuous write for JPEGS up to a certain size. ‘Much more sophisticated and faster AF tracking and processing’, especially balancing between multiple AF points and tracking moving objects. More advanced noise reduction algorithms, allowing higher ISO to be used and providing smoother medium ISO images. More accurate exposure processing for better dynamic range preservation. Better image processing for generating JPEGs that are usable straight out of the camera and have higher dynamic range / preservation of detail in bright and dark areas. Several generations of prototypes of both cameras had been in use for some time by selected pro-photographers. 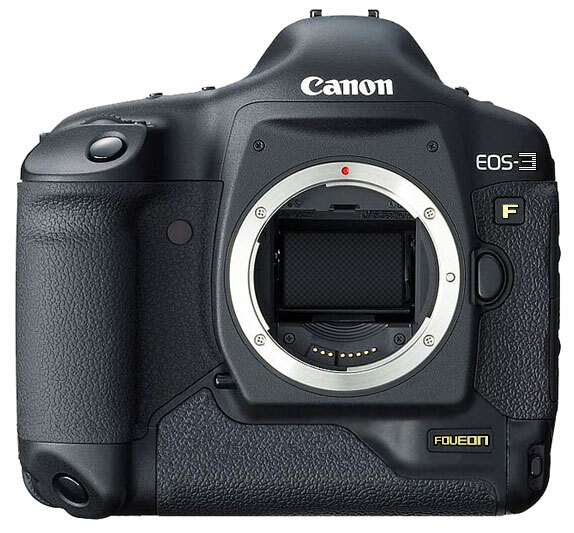 The new EOS 1 series had recently had a design upgrade which was delaying its availability. Canon was keen to release it as soon as possible as it it would be a flagship camera that was ‘untouchable’ in the market. I’ve been busy (20th – cursed paying work!) and missed the flourish of comments about finding a reference to an entirely new EOS 1 series camera in a DLL file in the latest version of DPP/ZoomBrowser shipped with the XTi/400D. 19th Have a look at the layout of the Photokina stand from Canon Europe. Click on the ‘on site events’ headings. All have extra info … the ‘Main Stage’ one also refers to ‘Birth of a new Brand’ —Just the stuff for wanton speculation that the forums need! 18th I was just told of someone buying a 1DsMk2 from Amazon.com after the price dropped to $6540.70 – seems there were only 5 in stock and they are now out of stock – not dealing with Amazon.com (from the UK) I’d appreciate any other observations on this? Are they clearing stocks? … But it seems that there have been pretty wide reductions in 1DsMk2 prices across the board in the US, dipping under $6k – as to how many of them are for real, buyer beware. 17th Want to know more about digital sensor noise? Two useful PDF files from NuCORE. These are the chips that go into other peoples’ cameras. “I also heard that Canon is going to split the 5D into two models to test our the demand for prosumer full frame without compromising demand for the 1.6 crop. There was going to be a smaller (closer to 30D size) and cheaper version of the 5D – same sensor, Digic III, wider AF points (given full frame) and probably Anti-Dust (some have suggested this as a 7D). And a upgraded 5D wiith a similar size to the current 5D but 16.2mp (or so) sensor (‘very similar’ to the 1Ds Mark II) and the samle Digic III, wider AF points, 5 FPS etc. 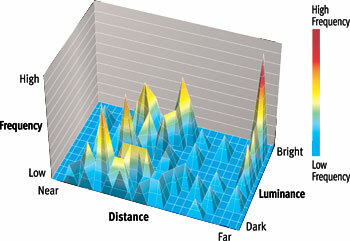 There is also a pretty 3D graph that shows lots of pointy bits, or if you work for Canon marketing, how much better focus, exposure and white balance wil be. …and, as was pointed out when I read the article again the next morning – it is certainly needed since the processing capacity of the DiGiC 2 is pushed to the limits in a 1Ds Mk2 (@4 fps) or a 1D Mk2N (@8fps). 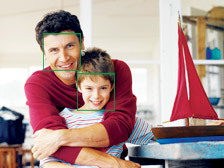 The face detection (if it found its way into ‘Pro’ cameras) would probably be part of a whole new AF system, which given the current 45 point system, would not be a trivial design matter to design and implement. Maybe something for the next but one big SLR? Over on DPR there is a forum post suggesting that the 1DsIII (or even IIn?) was going to be released, but without sensor cleaning – didn’t go down too well with some so, it’s got delayed until PMA to appear with sensor cleaning. 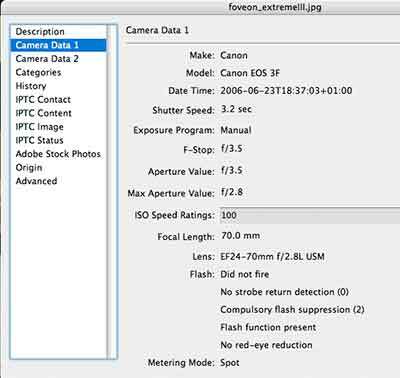 As to Pro cameras… All quiet on the rumour front – I also came across this short article on why FF sensors were so expensive – a bit less involved than the Canon FF PDF. Talking of which, I had an interesting message pointing out some more details about Canon chip making and suggesting that they have actually gotten round the need for multiple steps for each FF sensor (as mentioned in that Canon PDF). The ability to make an FF chip in single steps would lower prices and raise quality for FF sensors. If this new chip design was first tried out in a 5D successor, it could be used for the big increases in DR and image quality that we get the odd hint about being ‘big in 2007’. Of course if you take your FF sensors to a one step process, then a 2FF sensor becomes much easier to produce (although still not cheap). If you’ve not already done so I’d suggest a careful read of that PDF. 31st From the same new source (“no Mk3 at PK”) as yesterday we hear that the 5D is due for an update as well? – a 5D replacement _before_ a 1Ds3 ?? There may not be an announcement of the ‘1Ds MkIII’ at photokina. We were told that the current release plan for the ‘Mk3’ is end of November/ start of December. This will depend on KissX [XTi/400D] sales and may get postponed until next year. ‘1DsMk3’ Development is completed and waits for production – which is not yet started. “What will come out in September is the tentatively titled 1Ds MIII. 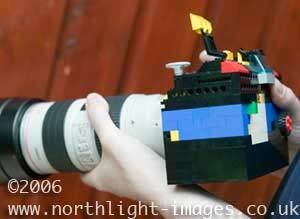 It will have 20 megapixels. But it will also have the option to shoot at a lower MP around 10 or 12 using less of a the chip having to adapt to lens magnification in this mode. It will also have a 3″ screen! So the body will handle every from the 1D Mark II all the way beyond the 1Ds Mark II. 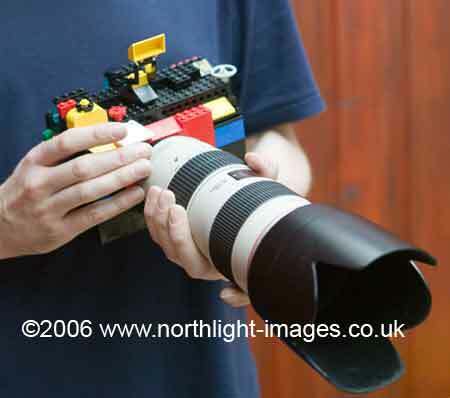 An all in one camera. Also, some US dealers are alerted by Canon to a September 14th announcement date – probably a new P&S… ? 25th Did any reader sign up to the Camera West 22MP pre-order list? If so what have you heard? Do they still have it (sort of ‘under the counter’)? Those of you who don’t remember the timing of the 1Ds Mk2 release at the -last- photokina might like to review our 1 Ds Mk2 rumours page – where you can see when reliable leaks first started coming out. But… No 1Ds versions… maybe something just before Photokina? Same battery pack, BG-E3 grip, Digic II as does the 350D. Is this the EOS 1x? 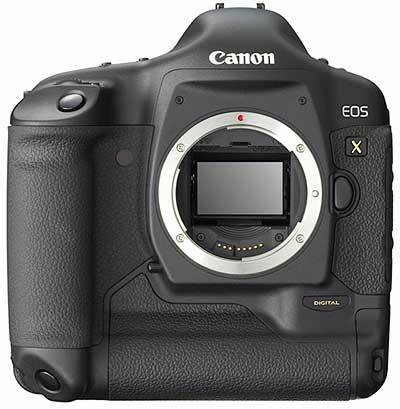 or just EOS-X — does it have a print button? 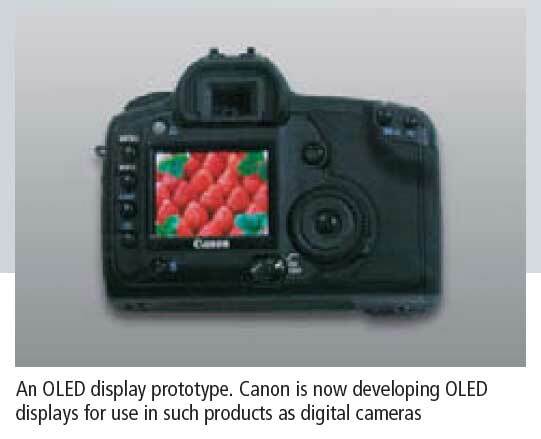 From a Canon PDF file, here is a DSLR with an OLED screen – it’s listed as a prototype. When a camera is bound to be as popular as Canon’s replacement for the super-successful Rebel XT will be, new owners have to have somewhere to go to learn the model’s ins-and-outs. This live-action DVD shows them how to become a master of every fabulous feature. However, consider releasing a book in February for a camera that is announced in August of the preceeding year? If Canon announce it soon then you might expect the books also available before Christmas? 14th I’m told that Canon is currently advertising the 1DsMk2 on Japanese TV at the moment – since it’s normally only the ‘Kiss’ that gets prime time treatment, there’s the suggestion that they are deliberately raising awareness of the high end stuff ready for later this month. I also had a comment of someone wanting a 1Ds 2 from a well known Hong Kong dealer – seems the stock has been cleared out for something new soon… unfortunately the dealer wouldn’t give details of just what the new thing was. 7th Well it seems the thread I linked to yesterday has been deleted. The most interesting reason would be that it was too close to the truth and Canon lent on the site – maybe it just got too long and was culled. Anyway, here is the original text (as posted on dpreview) from a supposed beta tester. 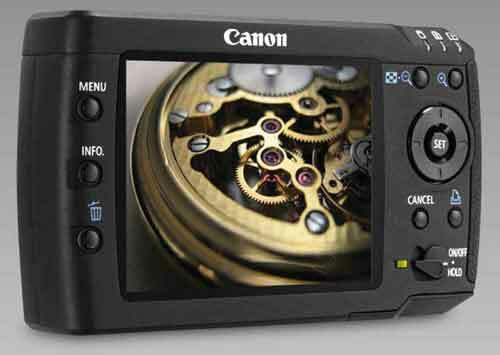 “Canon Dealers have not been asked to sign any NDA on the 1Ds 22MP camera. They have had to sign an NDA on a 2nd one. There will in fact be a world-wide release of information on the August 24 date. 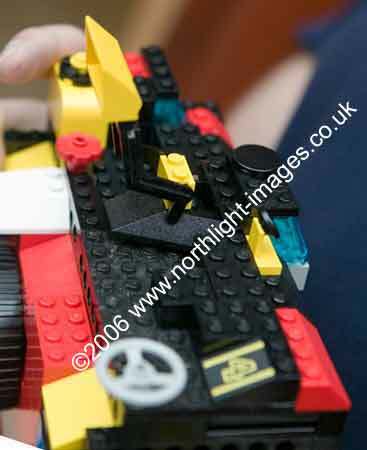 If nothing else, the body design looks a bit tidier than the supposed 3F pictures we were sent a while ago. Introducing the revolutionary EOS 3D. Built from the ground up to represent the new face of digital imaging the EOS 3D will represent a breakthrough in high performance yet affordable photography. Featuring an elegant yet supremely functional design it takes the best of Canon’s previous designs and enhances the experience even further. A high performance AF system featuring 27pt of which 11 are x-type down to f/4 while and the centre point is cross-type to f/5.6 and allows AF down to f/11. The AI servo performance has been significantly improved too, exceeding that of the 1D Mk II. Also Canon proudly brings ECF to the digital era and is greatly enhanced in performance over that found in the Elan 7NE. However, the true revolution lies in the heart of the camera. Packing an amazing 13.3MP into an APS-H sized sensor the images are processed by a new DIGIC III engine. The next generation DIGIC III Image Processor builds on the legendary abilities of the digic II with double the processing power necessary to deliver unprecedented levels of resolution, speed and dynamic range. Despite the EOS 3D having smaller pixels than the EOS 5D, the DIGIC III provides even greater DR, more accurate colour rendition improved WB and lower noise. ISO 50 and 3200 are now part of the standard ISO settings and ISO 25 and 6400 are now included as an expanded option. Also it further reduces power consumption allowing class leading battery performance. Thanks to DIGIC III the EOS 3D also boasts an impressive burst rate of 6fps for 18 shots in RAW and 40 in jpg. 14th As a follow up to the item in March (link) about “next year’s camera”, I was sent a reference to one of Canon’s 2002 patents (6388709) for sensor design – interesting read, if you can make your way through patent speak ;-) View on-line at US Patent Office. Note that this design needs sequential exposures, so maybe not what we’ll see – also the patent was originally filed in 1996. 12th More comment received suggesting that the 1Ds Mk2 N will indeed have 22MP, faster buffer and bigger LCD – and a $10k price tag. 9th – Further to the Canon ‘leak’ below, it’s been suggested (not verified) to me that the ‘N’ version will also have 22/21 Mpix – I’d more likely suspect bigger screen and other relatively minor changes. If you look on a German Canon site and enter 1Ds into the search box, you find some curious information http://Canon-bda.e-hippocampus.de/index.php? There’s an article, number H053234 — EOS 1Ds II N DE Manualkit (inkl. Software) — A typo? (but notice the other items 1Ds, 1Ds MKII V1)… or all we’ll get at photokina? I’ve seen some confusion as to what the DE stands for – it’s the GERMAN (.de) version of the software/manual – note also the generally inconsistent naming conventions used on the site. 4th A different take on the ‘no new MkIII at photokina’ — We’ve been told that although the new flagship camera exists, all the marketing and production requirements mean that it’ll first be shown (in a box – for show only) in Feb 2007 in time for PMA. It will not be a Mk3 and is likely to be an ‘around $10k’ camera. 30th More mail suggesting that 2006 is not the year for the 1Ds MkIII. I notice that there has been a lot of visits to the site – do bear in mind the ‘health warnings’, and that I’ve still not had any firm info I’d put much of my own money on! 26th E-mail I’ve received on the ‘EOS3’ pics overwhelmingly say ‘FAKE’ – I’m minded to agree … ho hum, I did say take stuff on this page with a big pinch of salt :-) I’ll leave the pics up for the record. “23.9 MP, 5FPS @ FF – 9FPS @ .3 CROP. – 28 RAW TO Buffer 72 JPEG – 1498 grams (incl batt) – 3” LCD at 368,000 pixels ” — Along with a suggestion that it will be announced on Monday 28th August. FYI the 1ds2 is 1565 gram and does 4fps with a buffersize of 11 raw and the 1D2n does 8.5fps and 20 raw. 25th Since it arrived just as I was going out to the pub on a Saturday night, I didn’t look carefully at the picture that came with the ‘EOS 3F’ picture below… A blast from the past indeed, I thought I hadn’t heard anything about Foveon for quite some time. Could this actually be the elusive EOS 3D that people have been postulating for years? As ever I’m just reporting something I’ve been sent – I’ve no independant verification of this, so caveat lector. 24th Rumours coming a bit faster now on the board, with a 23MP 1Ds Mk11N being a popular vote (along with several new L lenses) Whether the higher dynamic range sensors we heard about in March make it into the next 1Ds, or arrive in something new and big announced in 2007 remains to be seen. We were just sent the pic with the sample picture (see above) and no other info so you will just have to make your own minds up on its veracity. After several requests we’ve replaced the reduced size version with one at the size we were sent. Personally I hope not, since I’d like to replace my 1Ds before too much longer. I’m doing more and more work where better high speed ISO and image size are important. Just not enough to really warrant (from a business point of view) getting a mark 2. 16th I’m told that Amazon.com have stopped directly selling the 1Ds Mk2, which would be reasonable if they are running down their stock for a new product later in the year. “Canon’s lower-end digital SLRs aren’t a technological dead end, either. Those cameras’ smaller sensor size, called APS-C, “is clearly here to stay,” Westfall said. “Because of the cost factors, that’s going to be the sensor we end up concentrating on for the entry-level cameras for the foreseeable future.” And Canon has begun bringing exotic, high-quality lens elements to its EF-S lenses, though not the weatherproofing of its high-end “L” series of EF lenses. “Canon also had some interesting news on the DSLR front. In terms of innovation, it will rest on its EOS 5D full-frame-sensor laurels through 2006, but 2007 will be another story. Canon, Inc. the parent company in Japan, plans to expand digital SLR exposure latitude and brightness range to more closely resemble print-film latitude.” – any more info on the context of this?? So nothing for Photokina??? – maybe a chance for a 1DsMk11n yet … I’d still think Canon want a ‘big’ announcement for this year, and another ‘n’ version isn’t going to make a splash. The dynamic range stuff does fit in with last months info about radical changes in sensor design. Add to that the story of Canon stopping production of 1Ds2 sensors a short while ago and you have a reasonable timescale for the release of a new ‘top end’ camera later this year. It takes time to ramp up production of a new big chip (and a FF sensor is ‘big’ for a chip). Good wafer yields take some fine-tuning for any new line. 14th – Several “friend in the industry” mails from people who’d been told to factor in ‘big changes’ to their buying plans later in the year. 22MP seemed the most popular size. 15th – Mutterings about a 1Ds RS , using a pellicle mirror to save on having to flip it up, and managing 10fps at 18MP full frame. Also a 3D midway between 5D and 1D lines (haven’t heard that one for a while… ;-) See the Fred Miranda forums for the standard collection of posts that follow any such posting :-) … and there are a lot of them. With PMA at the end of February, the rumour mill is stepping up with reports of a replacement for the 20D. Some have suspected a EOS 1DsMkIIn much like the 1DMk2n – probably not, but if it does appear then it’s unlikely to be replaced by a Mk3 at Photokina this Autumn. Updated 350D with unkown code name and 3fps. When we were looking at the rumours before the 1Ds MkII was announced, we had one report about a dust cleaning option that was being looked at (MkII info Aug 2004 towards the bottom of the page) All we got were a couple of fairly vague reports of ‘Active Dust Removal’. If you read the interview with Takaya Iwasaki, Canon representative for Central East and North East Europe, Sub-Sahara Africa and Middle East at http://www.e-fotografija.com/artman/publish/article_440.shtml you will see that they looked at it for the 20D. Now since it’s still not appeared, it’s either a lot more difficult to get working, or too expensive — so where would be a good place to introduce it – Canon’s new flagship camera (EOS 1Ds MkIII) at next year’s Photokina? Might we get a whole new AF system and a few other goodies as well. It looks as if new battery technology will make it into the cameras, with Li-ion giving quite an increase in capacity. I’ve heard from the states of a couple of people putting off their moves to MF digital after some ‘off the record’ briefings from senior Canon people. 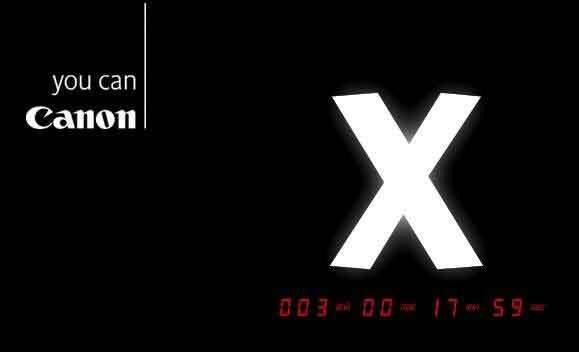 When it comes to naming, how many roman numerals will get added? 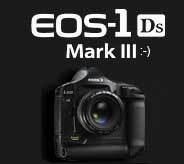 Will we get the EOS 1Ds MkV in 2010? or will we get a whole new numbering system? The only problem is that if you want to have lowest=best, then there isn’t much further to go. “Reading between the lines of the specs and press release, you may discover that the EOS 5D is the first model in a new strategy frm Canon, in the direction of full frame image sensor in many cameras to come. They have now solved many of the obstacles and production cost barriers, first and foremost related to the lowpass filter in front of the CMOS. “We can expect the APS-C format to continue in the two bottom layers, the xxxD and the xxD. This was said by at least two different Canon execs. One of them said that there will be distinct capability differences between the layers, making the choices between them clear for users. So we can expect the xD top layer to be a single 24x36mm, 8fps camera. This was also said by two execs. There will continue to be updates in all three layers, and when each layer is updated, it will contain some of the very newest available technology (which may eclipse a then-current higher layer), but not enough capability to overcome the higher layers. The xxxD camera will always maximize “consumer ease of use,” light weight, and compactness over professional durability, speed, and versatility. The xxD camera will always be a blend of “consumer ease of use,” light weight, and compactness along with a few professional features of durability, speed, and versatility. The xD camera will always maximize durability, speed, and versatility over “consumer ease of use,” light weight, and compactness. Now we may get a new ‘Super’ 1D at 2006 Photokina where we get high speed and full frame, but if something goes awry with the super xD, they may have to introduce a 1D Mk III 1.3 camera as a continuance of its interim use, that by either PMA or Photokina. 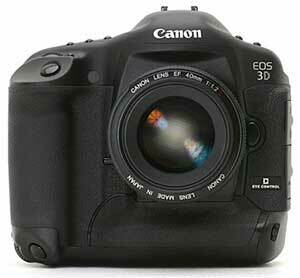 What about an EOS 3D?